Snackeez is a brand new all in one solution to drinks and snacks on the go. The clever design which features a flip top snack container inside a drinks cup means kids can take their favourite drink and snack out and about in one handy cup. 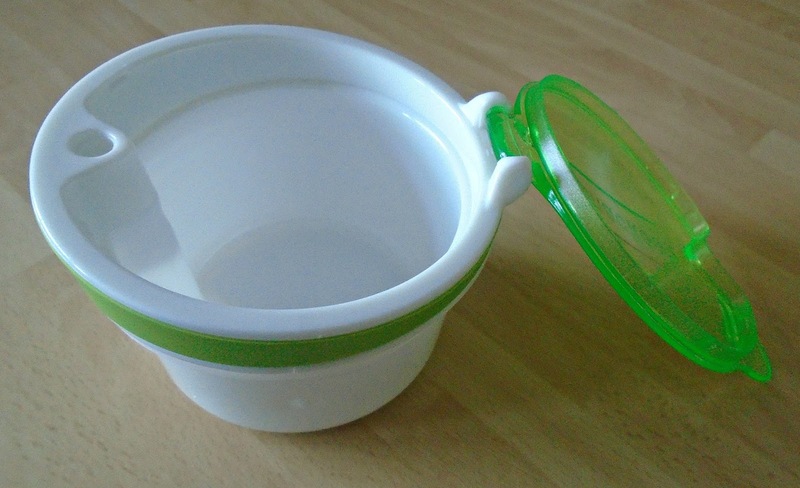 The flip top snack container which fits snugly within the cup holds around 115ml of your childs favourite snack, whilst the cup itself holds up to 450ml liquid. Those of you will know that when heading out with kids ensuring you are armed with snacks and a drink is essential and this cup means you can do both in one handy container. James attends several after school activities such as swimming and Beavers and there is often little time between school and these clubs but he is always hungry! The cup has been great for ensuring he can grab a quick drink and snack before heading of to his next activity. The only downside we found was that the cup is quite large, James is 6 and found he had to hold it with 2 hands however there is a very handy grip to help children keep hold of the cup securely. The lid for the snack section is easy to open and close and James was able to do this by himself with ease. The straw is a hard plastic straw and we personally would have preferred a softer/bendy straw with a lid to keep this safely closed, this is just a personal preference for us though. Taking apart the cup for washing is easy and as it all comes apart in sections you can get to every bit of the cup to ensure it is thoroughly cleaned, it is also dishwasher safe for an easy clean. 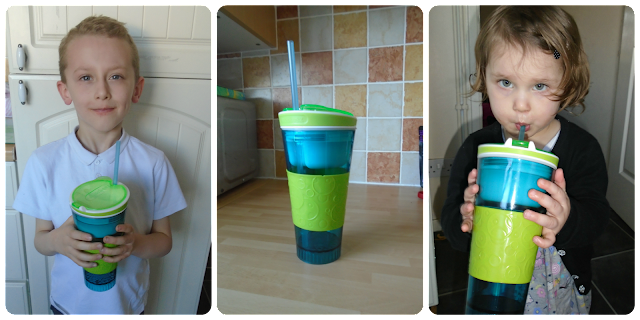 The only part I couldn't get to fully was the hard plastic straw but as James only has water in his it wasn't to much of an issue, however this may become an issue if you were to use it with juice or milk etc. James gave the Snackeez cup a big thumbs up! He loves that he is able to have his snack and drink in one place without the need for multiple bowls and bottles etc. We loved that the cup was large enough to fit a substantial snack and drink inside meaning it would last a good duration without needing refilling. As a parent my only real concern with the Snackeez cup is the washing of the straw section but this aside I think they are a great idea! We have also used the snack bowl by itself for Evelyn and its a great size for popping it a bag without the drinks cup attached. Snackeez are available to purchase from Character Online and are priced at £9.99 which we thought was a very fair price for a cup which can be reused time and time again. 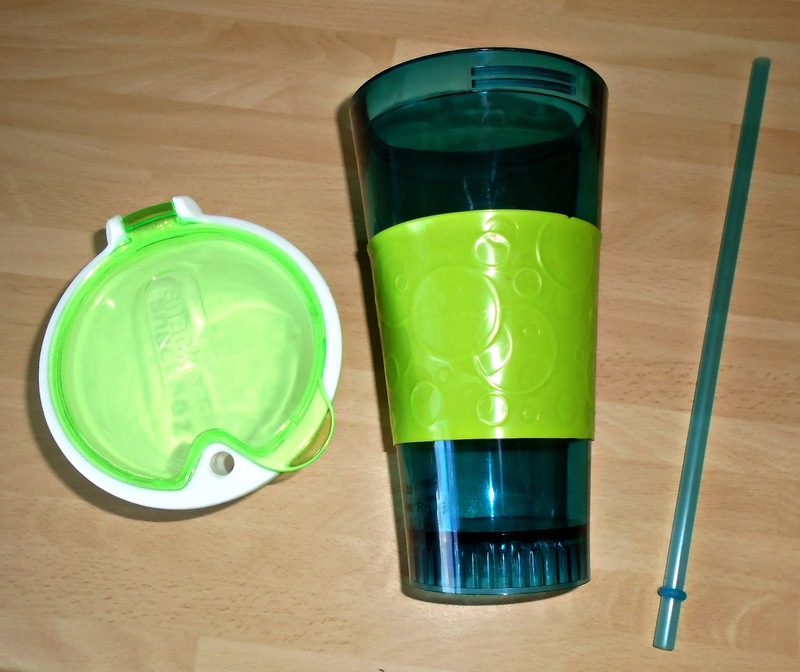 Do you think your child would find a Snackeez cup useful?